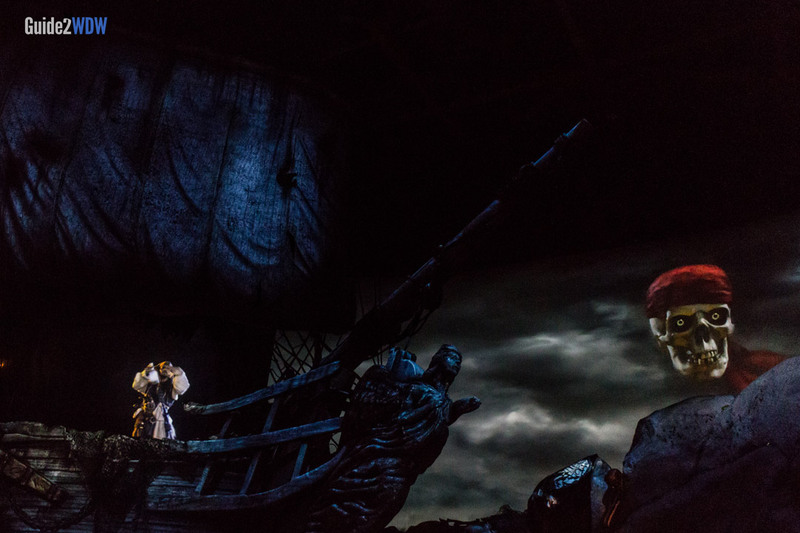 Have an up-close and personal encounter with Jack Sparrow in this special effects show. The Legend of Captain Jack Sparrow is a walkthrough special effects show located between Toy Story Midway Mania and Walt Disney: One Man’s Dream at Disney’s Hollywood Studios. 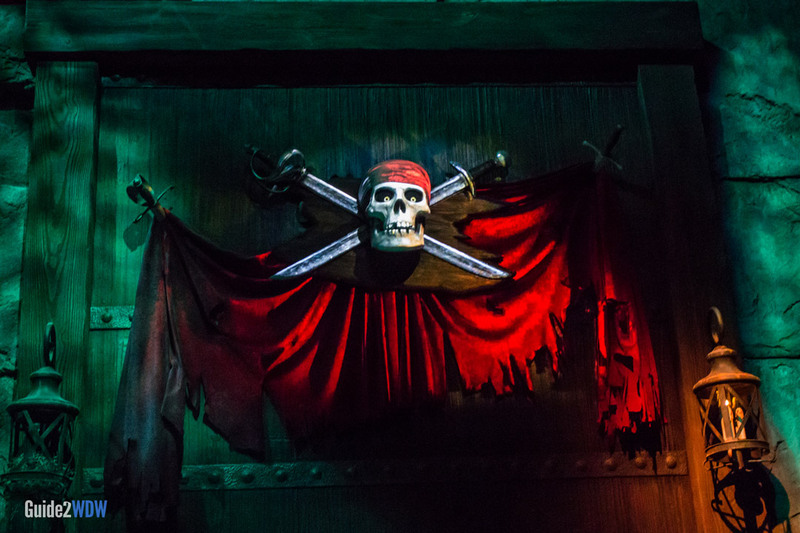 Guests enter an indoor theater, where a talking skull (reminiscent of the skull from the Pirates of the Caribbean ride) and Jack Sparrow (play by Johnny Depp) take them through the recruitment process of joining Jack’s crew. 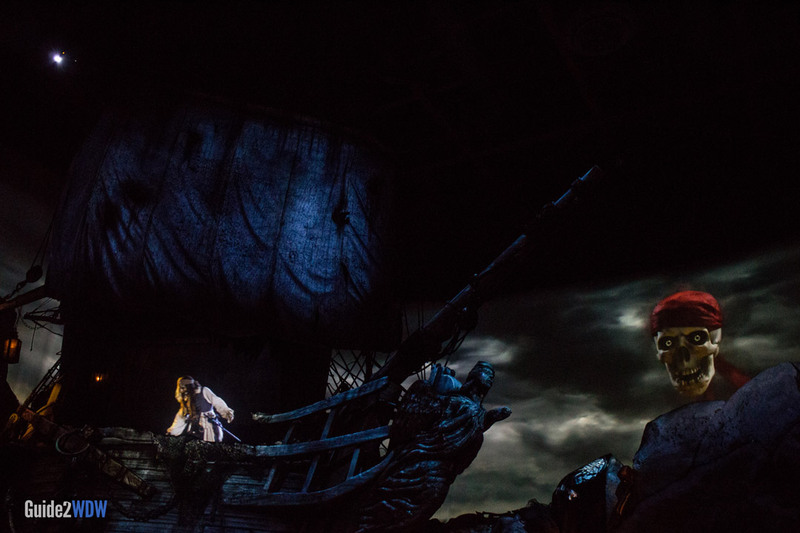 Throughout the show, there are several special effects, including mermaids, Davy Jones’ ship the Flying Dutchman, and skeletons getting up and animating. The most impressive effect is Jack Sparrow himself, as the effect makes it really feel like Johnny Depp is in the room with you. The Legend of Captain Jack Sparrow will be a treat for fans of the Pirates of the Caribbean movies. Those wanting a bit more of a behind the scenes look at the films will be disappointed, as this is more just a display of special effects than an exhibit showing how the movies were made. The Legend of Captain Jack Sparrow is worth checking out for the cool visual effects, but only if the wait is under 30 minutes. The queue for the attraction is just outside the entrance and completely unthemed, which always makes waiting in line seem longer. While the show is definitely good, I would have been frustrated by waiting a long time to see it. Try heading to it early in the day or near park closing for the shortest lines. Some of the effects in the show might scare small children. They are in line with the darker/scarier effects from the movies.